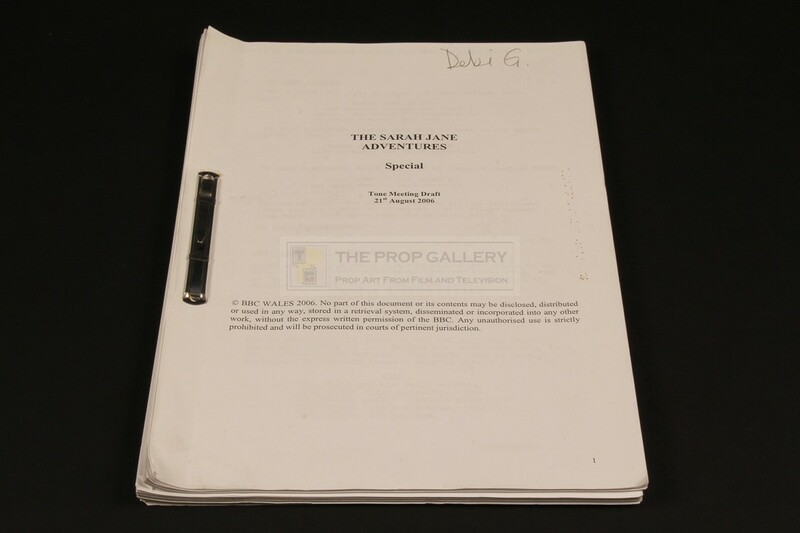 An original script used in the production of The Sarah Jane Adventures, the Doctor Who spin-off series starring Elisabeth Sladen. 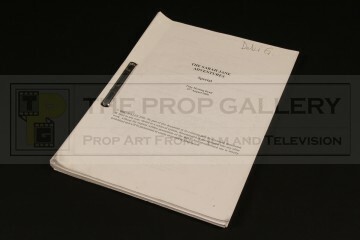 From the 2007 New Year's Day special Invasion of the Bane this original production used script comprises of 75 pages in addition to a front cover bearing the name of the series with the episode title simply 'SPECIAL'. This tone meeting draft is dated 21st August 2006 and features some hand inscribed annotations to the interior which largely relate to the art department and were presumably made at the meeting. 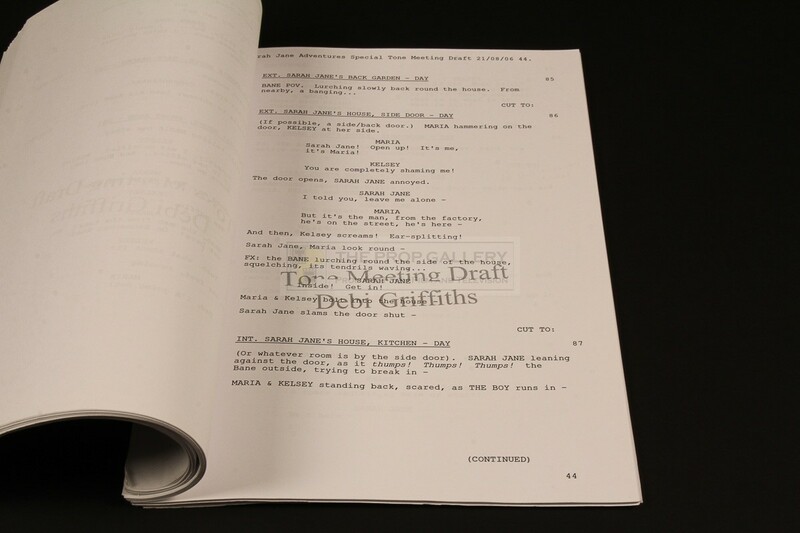 The cover of the script is hand inscribed with the name 'Debi G' for assistant production coordinator Debi Griffiths and each page is watermarked with her name. 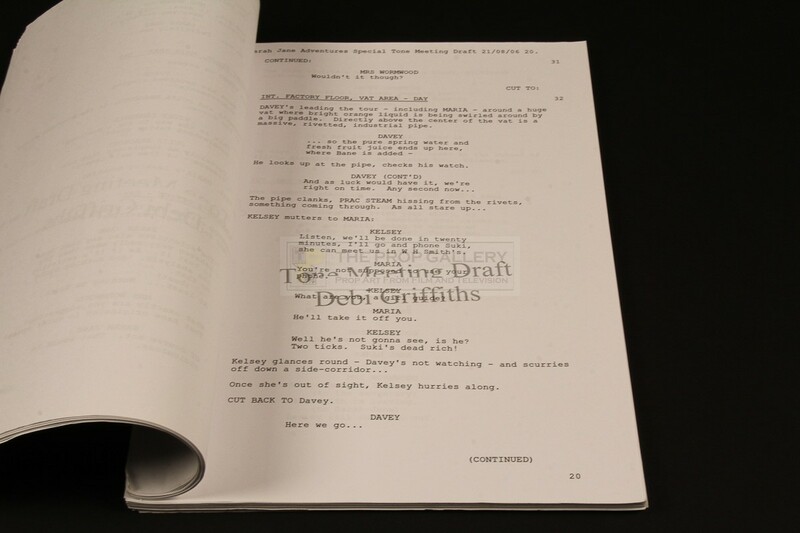 The script remains in excellent production used condition with some very minor edge wear, overall very fine. A fine example of original production material from this well received series.